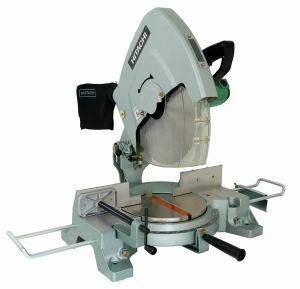 The distinct advantage of miter saws over other saws is the ability to cut at almost any angles including the most common: 90, 60 and 45 degrees. They are designed to be used for mainly framing, although there are thousands of projects for which these saws can be very useful. A 45 degree bevel tilt on a miter saw. Miter Cut: Mitering is the term used to describe the process of rotating the saw blade to a different angle. Normally when you are using a miter saw you are facing the blade straight on. When you miter the blade, it will be swiveled to the left or the right up to 45 degrees. Bevel Tilt: Compound miter saws have the ability to tilt the saw head in order to obtain a different bevel tilt angle. This can be seen when you are looking a the saw head from straight on and you see that it is tilted either to the left or to the right. Using a miter saw at 45 degrees can happen when you are either adjusting the miter angle or the bevel tilt. A basic miter saw doesn’t have the beveling function, so you can only make miter cuts. 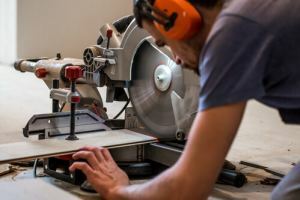 If you have never used a miter saw, seek help from a person who has been using a miter saw before starting the job yourself. They might have great insight and hands-on teaching skills to demonstrate the best practices for you in person. 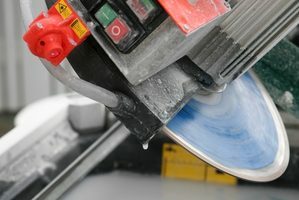 Allow the saw blade to come up to full speed before starting the cut to avoid making inaccurate cuts. Fix the pieces together very carefully when cutting. Work with scrap lumber until you can use the miter screw well enough. Practicing these cuts will help you get the hang of it before you accidentally destroy some of your working materials! Set up the saw in an area with good lighting and enough space to work easily. Angled cuts are not as straightforward as regular chopping cuts, meaning you will appreciate the extra visibility and open space. 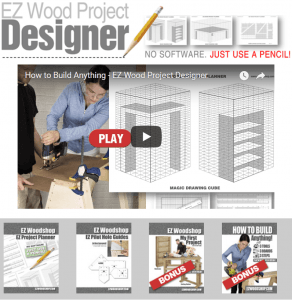 Set up your table to give you the space that you need for your saw and wooden materials. 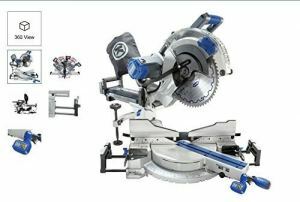 Adjusting your miter saw to a 45 degree miter angle or bevel tilt will be different for many saws based on their brand. 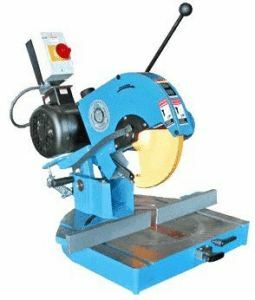 In general, the miter adjustment can be done by holding a knob and lever in the front of the saw and swiveling it until you reach your desired miter angle. Bevel tilt is usually adjusted near the back of the saw head. Some people like to square their miter saw blade before adjusting to 45 degrees. You can do this as a precaution to make sure your cuts will be correct. It is recommended that you square your saw if it has been more than a month since you checked and calibrated it. Inspect your saw and connect it to the power source to turn it on. First, place a piece of scrap wood on the table and saw it at your 45 degree angle. Saw a second piece of scrap wood and then compare how the edges fit together with the first sawed pieces. If they do not match up well, you may need to calibrate your saw again or re-square it. If they match up well and the cut quality looks good, you can move on to your actual project material. TIP: Remember that your saw is now facing a different angle than before. Wherever you would normally put your hands when sawing may not be a safe option anymore. Be aware of your body and the saw at all time to avoid serious injuries! 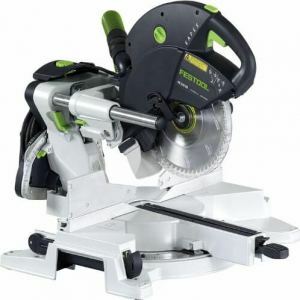 TOP 3 Sliding Compound Miter Saw – Is the biggest your best choice?